driver – when he leads the Monster Energy NASCAR Cup Series field to green. Rawlings will serve as the official pace driver for the Sept. 24 ISM Connect 300 playoff race at New Hampshire Motor Speedway. Before getting behind the wheel for the ISM Connect 300 at 2:00 p.m., the charismatic media personality will visit the speedway’s infield media center on the morning of the race. Rawlings will be making a special announcement with representatives from Foxwoods Resort Casino. A veteran of transcontinental road rallies, Rawlings is no stranger to the driver’s seat. A two-time winner of the Bullrun, he is also the world record holder in the Cannonball Run, a race from New York City to Los Angeles, Calif. In 2007, Rawlings and teammate Dennis Collins broke the 1979 record (32 hours, 51 minutes) – held by Dave Heinz and Dave Yarborough – with a time of 31 hours and 59 minutes. Rawlings joins a wide-ranging list of celebrities and athletes to get behind the pace car wheel prior to a Monster Energy NASCAR Cup Series race at NHMS. Most recently, Josh McDaniels, offensive coordinator for the 2017 Super Bowl champion New England Patriots, led the field to green in July’s Overton’s 301. Patriots wide receiver Julian Edelman (July 2014), defensive end Rob Ninkovich (July 2015), and Matt Light (Sept. 2016) have also gone from the gridiron to the starting grid, while other notables include Dave Matthews Band bassist Stefan Lessard (July 2016), Olympic triathlete Sarah True (Sept. 2015), and Boston Bruins legend Brad Park (Sept. 2014). The speedway’s September partnership with Foxwoods continues an already established relationship that in July saw the Connecticut resort and casino provide a free one-night night to anyone renewing their tickets to the July 2018 Monster Energy NASCAR Cup Series race. During race week, Foxwoods will have a dedicated area in the Fan Zone, where fans can interact with its newest attraction as well as other entertainment assets. 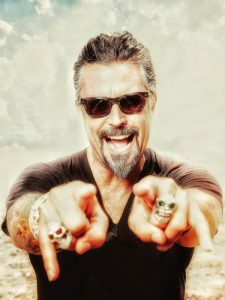 For more details on how you can watch Richard Rawlings lead the field to green in the Sept. 24 ISM Connect 300 Monster Energy NASCAR Cup Series playoff race, please stop by Fan Relations, visit the speedway website at www.nhms.com, or call (603) 783-4931.